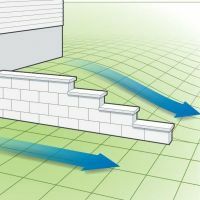 When water pools against your foundation, it creates hydrostatic pressure. 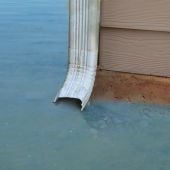 This situation may cause water to enter your basement or crawlspace. 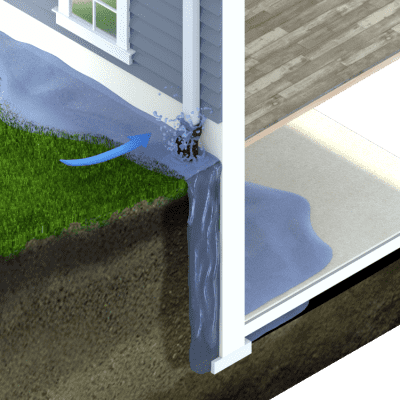 Our team applies exterior drainage corrections that move water away from your foundation – and away from your home. 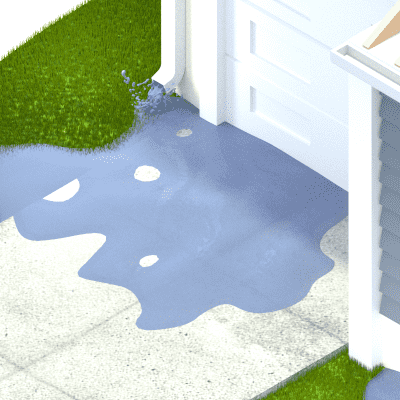 Water damage in basements and crawlspaces is serious, not to mention expensive. 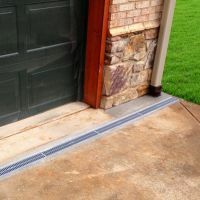 Sump pumps and interior installations don’t actually keep the water out, but properly designed exterior solutions can. 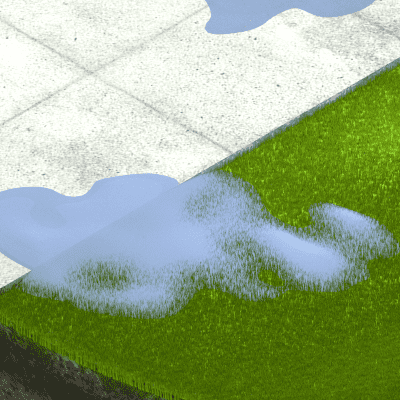 Pooling in these spaces is a nuisance and might even be dangerous. 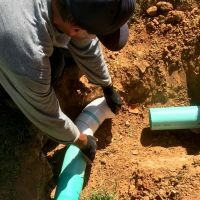 We examine your problem areas and design a custom solution for removing the problem water. 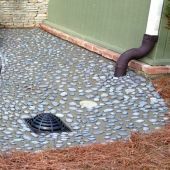 Flooding, standing water, and ground saturation make it difficult to enjoy your outdoor spaces. 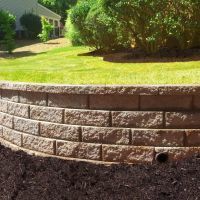 We design and apply corrections that directly address water accumulation in these areas. 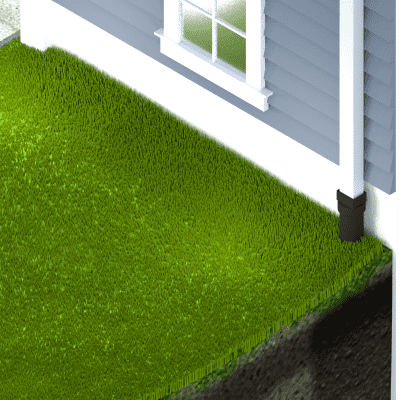 Our goal is to identify the source of your exterior drainage problem and correct it. 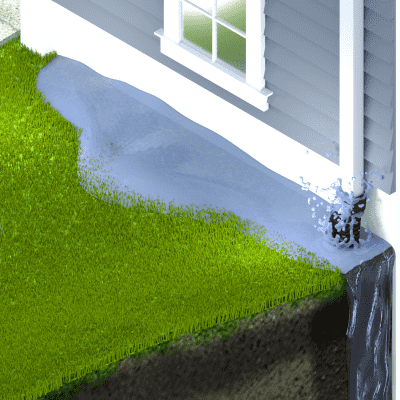 Instead of treating the symptoms of drainage issues with sump pumps or interior drains, we address the root cause. 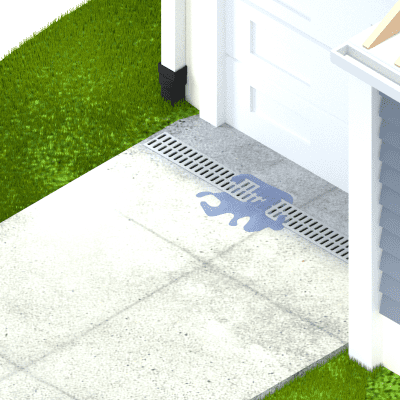 All of our solutions reside outside your home. 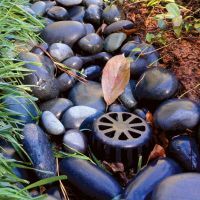 From diagnosis to design to installation, we provide a turnkey drainage solution designed for lifetime performance. 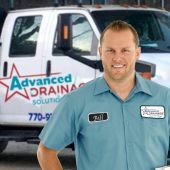 We visit your home to discuss your drainage issues. 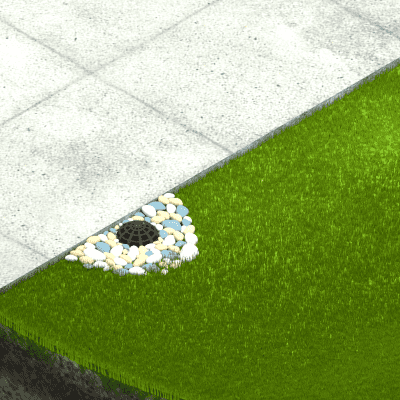 Show us your “problem areas” and share your thoughts and observations about the conditions. 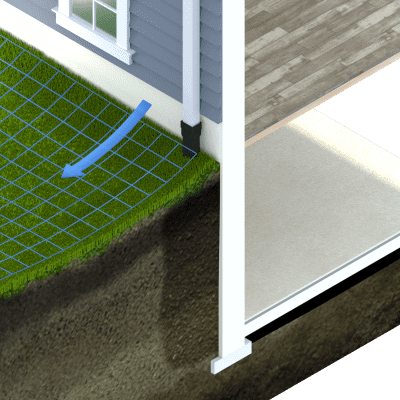 We analyze your home, land structure, gutters, downspouts, and any drainage features you’re using. By the end of the visit, we determine the root cause of the problem. Based on our analysis, we propose specific recommendations. 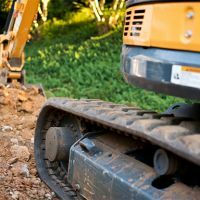 In most cases, we provide pictures or color-coded diagrams to show you exactly how we plan to proceed. On a scheduled date and time, we take action. 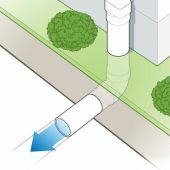 Our team applies custom drainage corrections designed for long-lasting, reliable performance.